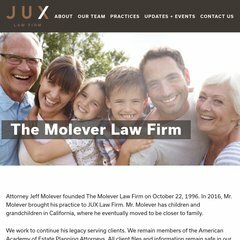 Topics: Attorney And Staff Profiles, Multimedia, Speaker Connection, Services, and Elder Law & Medicaid Services. Age: It went live on July 7th 2004, making it over 13 years, 9 months old. It is hosted by Natural Networks Inc. California, using Microsoft-IIS/7 web server. The site is programmed for ASP.NET. There are 2 Nameservers, ns27.worldnic.com, and ns28.worldnic.com. PING www. (98.158.162.32) 56(84) bytes of data.